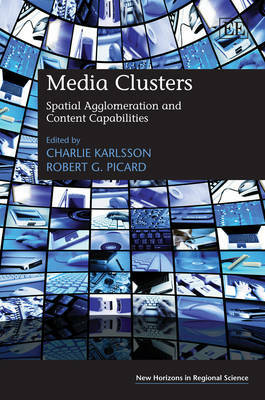 This impressive new book uniquely focuses on the phenomenon of media clusters and is designed to inform policymakers, scholars, and media practitioners about the underlying challenges of media firm agglomerations, their potential, and their effects. Including an array of distinguished contributors, this book explores the rationale and purpose of media clusters, how they compare with clusters in other industries, and the significant differences in characteristics, development processes and drivers among various media clusters worldwide. It incorporates perspectives from economic geography and economics, public development and industrial policy, organizational studies, entrepreneurship, as well as cultural and media studies, to provide a comprehensive view that provides critical insight into these clusters.